Testing shiny new outdoor gear is a tough, tough job. No, really it is. 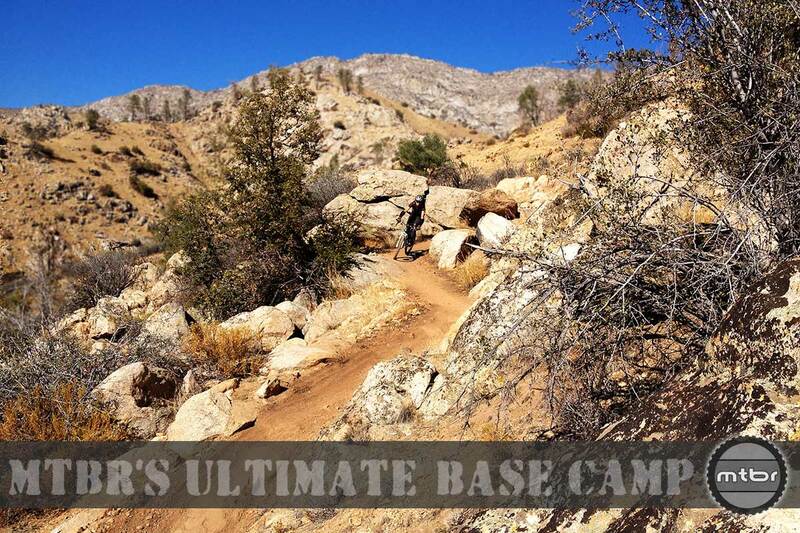 Initially we got familiar with the equipment for the Ultimate Base Camp in backyard camp sessions. But because we’re duty-bound to give our readers comprehensive, real world feedback, we hit the hard roads and trails of California to pressure-test our initial impressions. All three of our test destinations—Kernville, Santa Barbara and Santa Cruz—are each road trip worthy. As you read through our destination guides, we think you’ll see why. The hard-working town of Bakersfield, Calif. is perhaps best known for oil production, agriculture, and the “Bakersfield sound,” a rough-hewn variant of country music from Dust Bowl refugees like Merle Haggard and Buck Owens. 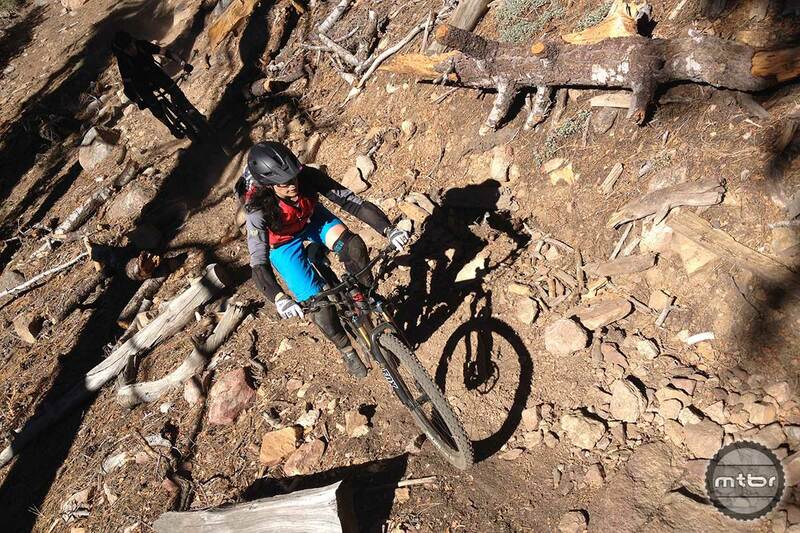 What’s not-so-well-known is its gateway status to some of the best all-mountain riding in the state. Situated a twisty hour-and-a-half drive east sits the tiny town of Kernville, near where the Sierra Nevada mountain range comes to its southern terminus. The berg is ground-zero for the Cannell Plunge, an epic, advanced-level, downhill-tilting route featuring nearly 30 miles of roller coaster topography punctuated by rocky chutes, ribbons of buff singletrack, the occasional uphill grunt, and enough picture perfect scenery to start a postcard factory. 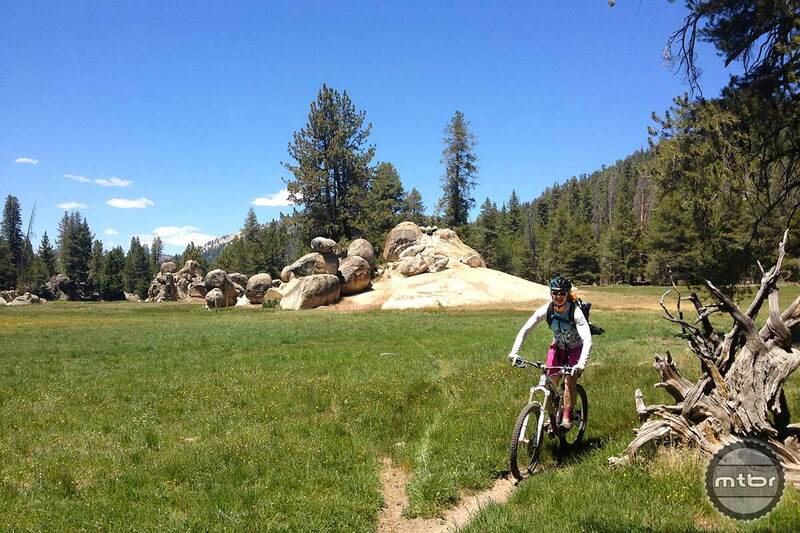 A few miles south, the aptly named Just Outstanding trail bobs, weaves, and tunnels like a bobsled run from the Alta Sierra Ski Resort back to the picturesque Isabella Lake basin near the town of Wofford Heights. Together, the pair of rides make the perfect itinerary for a weekend trip and serve as an appetizer to the area’s mountain biking tonnage. That inventory includes trails used for the long-running Keyseville Classic Race and several others. The epic Cannell Plunge winds from a start at the 9,200-foot saddle of Sherman Pass and flows for nearly 30 miles through the Sequoia National Forest’s tree-lined tracts and alpine meadows dropping some 8,000 feet to its conclusion in the Kern River Valley. Though the mostly-singletrack route features a distinct downhill orientation, including The Plunge itself–the route’s mind-blowing drop of 5,000 feet over the final eight miles–it requires true all-mountain fitness and a bike to match. You’re gonna have fun on this one, but you’re gonna earn it, despite the long shuttle ride to the top. And while The Plunge may be the cherry on top of this tasty mountain bike sundae, to overlook its preamble is to forget about the ice cream, whipped cream, bananas and hot chocolate topping. Like a good sundae, the Cannell Plunge’s whole is greater than its parts, but each part is pretty damn tasty on its own. From pump track-like flow sections to rocky, technical chutes to barely-more-than-tire-wide singletrack the Cannell Plunge feels like five or six rides-in-one and deserves inclusion in any “California’s Best” conversations. The Cannell Plunge requires advanced-intermediate to expert technical abilities, excellent fitness, and the ability to be self-sufficient in the event of mishap or mechanical malfunction. The route is long and strenuous, and some parts are quite remote with no cell phone coverage. Light armor recommended, large hydration pack required. The spring and fall are best for riding Cannell, though the summer is doable if you can take the heat. 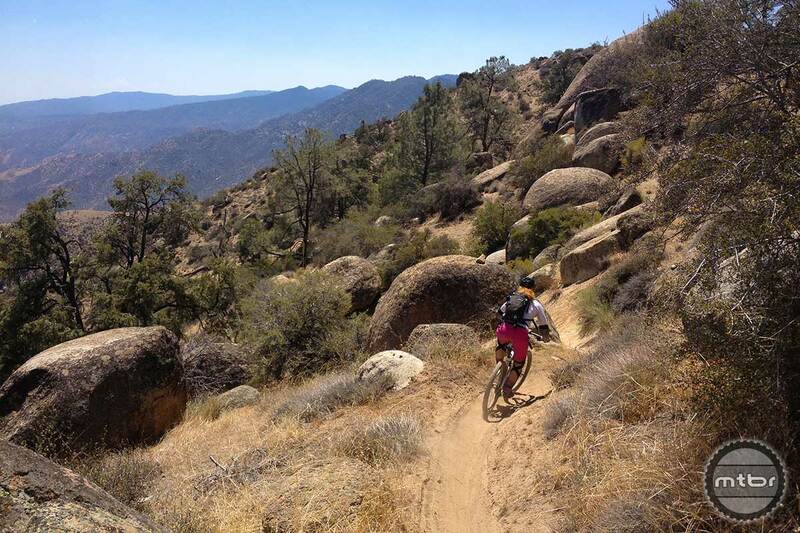 Our first trip to Kernville in June saw high temperatures of 111 degrees, making even carbon handlebars hot to the touch. On the other end of the spectrum, snow on the ride’s upper reaches is not uncommon for the early spring and late fall. A lower shuttle drop-off at the 7,500 foot Horse Meadow serves as an alternate start point when Sherman Pass is snowed-in. Temperature swings of 20-30 degrees between the start and finish are commonplace any time, so bring layers and make sure you can carry it all. The folks at Mountain and River Adventures (800-861-6553) can usually give you an idea of what to expect if you give them a call a few days before you arrive. Did Just Outstanding get burned at all by the recent fires up there? Yes it did. It has been closed off due to an ongoing investigation to determine the cause of the fire. Just Outstanding did not get burned in the Shirley Fire. The upper part of Waggy Ridge (not part of JO) did however. Just Outstanding trail is open for riding as of over a week ago. We heard there was a fire in the area, but were unaware JO had been effected. A bummer to be sure. Thanks for the updates guys…we’ll reach out to Mountain and River tomorrow and see if they have any further info. How long would you estimate Cannell Plunge takes from getting on the shuttle to getting back into town? John Cannell can take quite a long time, or not. My first ride down it took over 6 hours. It takes even longer for some. I now do it in under 3. Keep in mind you start at 9,200 ft and climb up as high as 9400. Most of the ride is over 7500. There is around 2000 ft of climbing. Shuttle leaves at 8:30. You start the ride close to 10. Very few get back before 3:30 many 4:30-5:30. I’m now done around 1 and we often do another shuttle or two after. JO is a different story. Time on it will vary depending on how you do it. The single track at the top is about 6.5 miles long. After that it is fire road. Total distance around 17 miles The normal route is climb up Wagy Ridge Road to the Old State Hwy and back down to Wofford Heights. If you leave a car at the Post Office you won’t have to ride the highway back to Kernville in the heat. Another route after the single track is down Sawmill Road but that puts you closer to the damn. 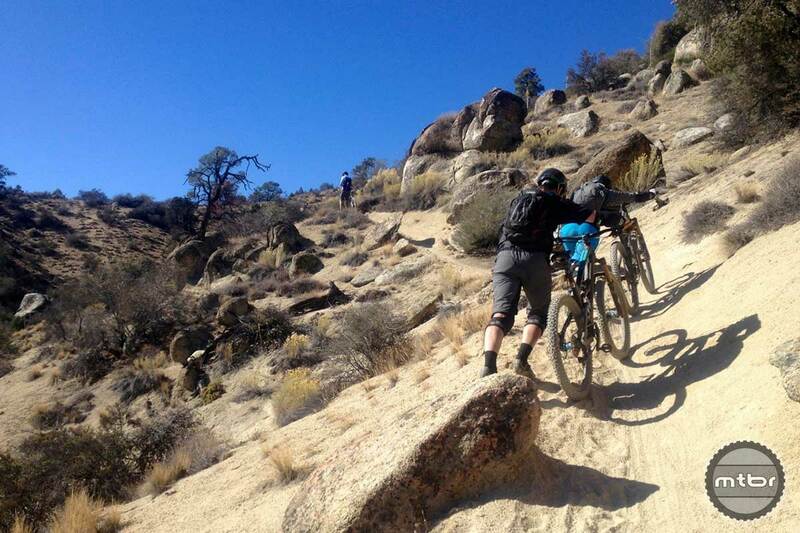 Without a car there you will have to ride on the main highway back to Wofford Heights and Kernville. There is a single track down Wagy Ridge but it just burned partially and it will drop you onto Sawmill Road. It is a lot of work because it was made by motorcycles. Between these great trails and dancing at Buck Owns Crystal Palace in Bakersfield I have a plan for the autumn that even my non riding girlfriend will love. LOL Awesome John–love the Potato Patch story…see you in a couple months!